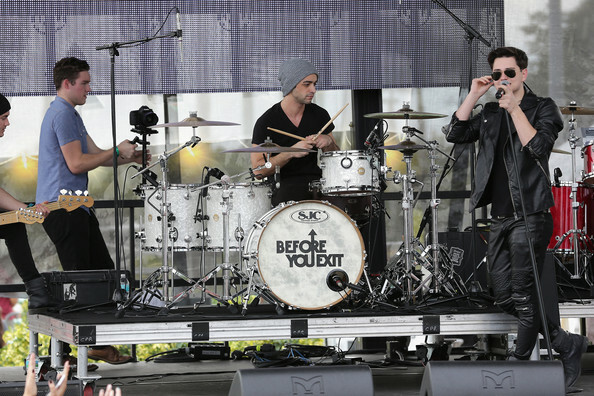 PHOTOS: Before You Exit Awesome Performing At Y100’s Jingle Ball 2014! The stage suddenly became “Dangerous” at Y100’s Jingle Ball 2014 official pre-show as Before You Exit performed at Y100’s Jingle Ball Village at BB&T Center on December 21, 2014 in Miami, Florida. Check out some more pics of them below! VIDEO: Before You Exit Makes Sure ‘Camille La Vie”s Prom Photoshoot Is “Dangerous”! Famous boutique, Camille La Vie, made sure their new “Girls Rock For Prom” photoshoot was a danger zone thanks to Before You Exit! The guys did an awesome collaboration, and photoshoot, with Camille La Vie for the Prom 2015 season using their hit single, “Dangerous”! Check out this fantastic video below! Sing along and check out all the wonderful dresses and the guys looking hot dressed in suits! If you’re looking for that special dress for prom or another special occasion, check out some of the most beautiful dresses from Camille La Vie by heading to their website! 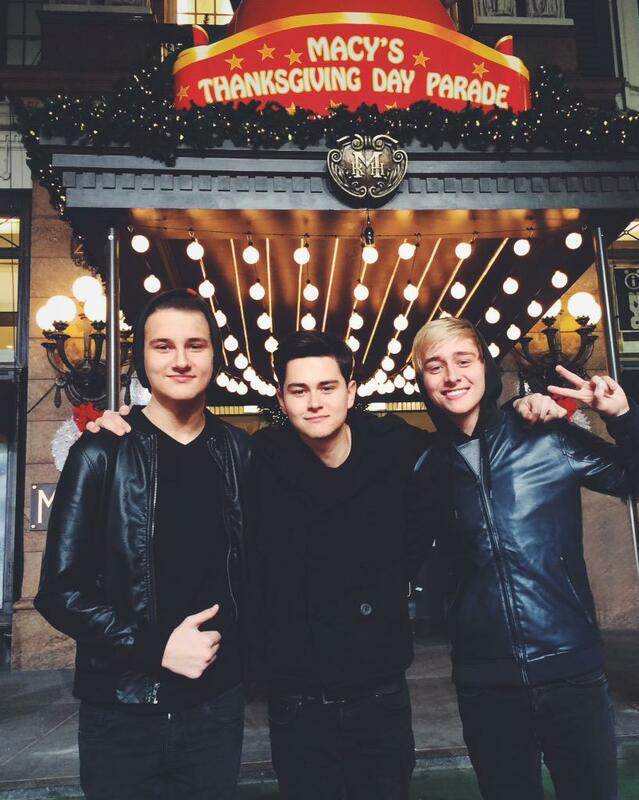 Before You Exit’s Excited For Thanksgiving Day Parade! Catch them tomorrow morning beginning at 9 a.m. only on NBC! 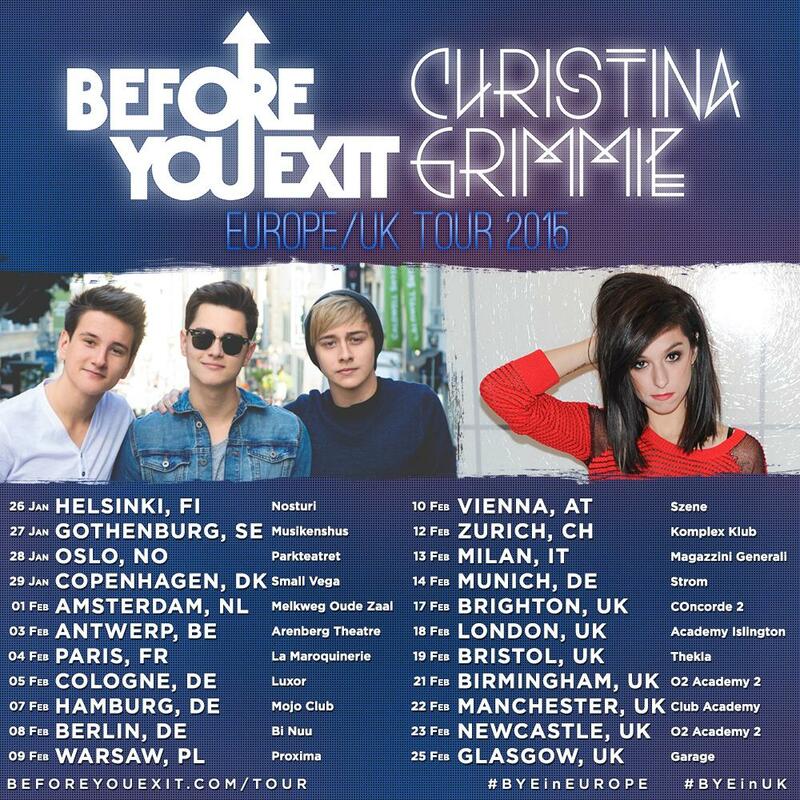 Before You Exit, Becky G & More Playing #KIISJingleBall Pre-Show December 5th! 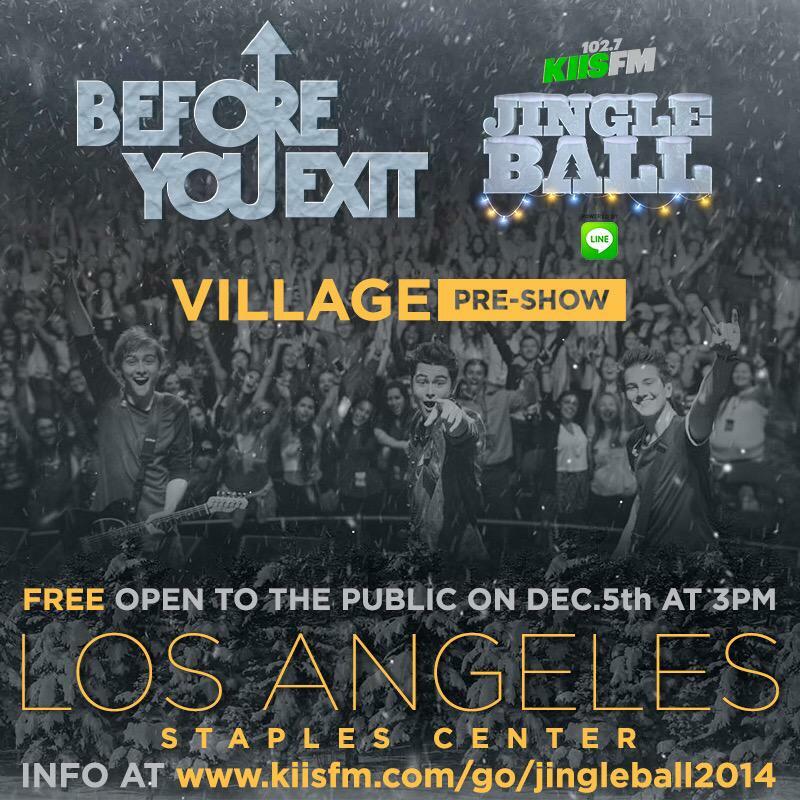 KIIS FM’s Jingle Ball 2014 is sold out, but you can still have some fun checking out great performances at the Village Pre-show! It’s all FREE and open to the public at the Los Angeles Staples Center at 3 pm! You’ll catch performances by Meghan Trainor, Becky G, Shawn Mendes, Bea Miller, Rixton, SYD Youth and the brotherly trio Before You Exit! For more details, check out KIIS FM’s website! 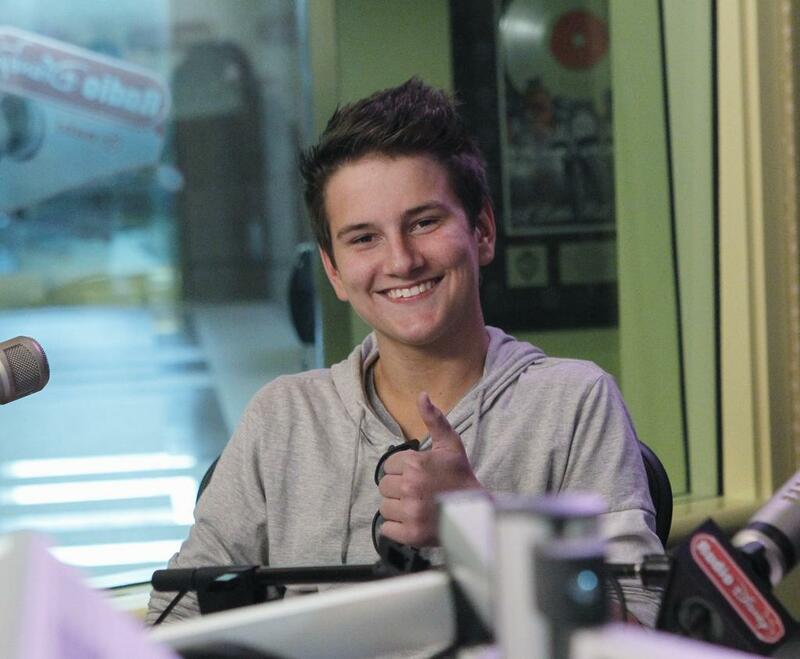 Toby McDonough Shows Off His New Singing Technique — Watch! Toby McDonough (pictured middle), one of the three brothers of Before You Exit, has taken his singing to a whole new level! And that level would be Level: “Helium”! This brother shows off his new singing technique in a very funny Vine while he sings the popular classic song “Lollipop”! Check it out below and be ready to have a good laugh!